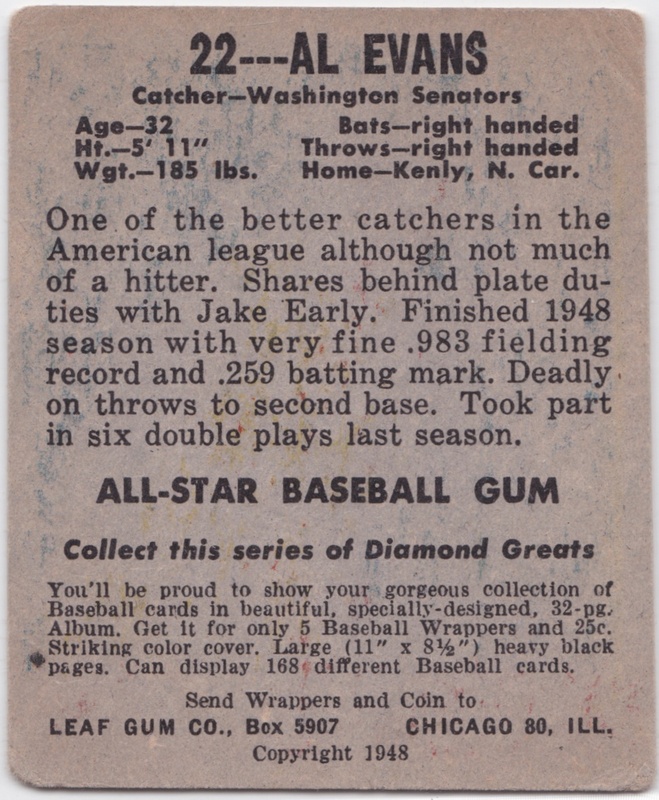 OF NOTE: Evan's 1948-1949 Leaf card is considered his rookie card even though he had played in the majors since 1939. 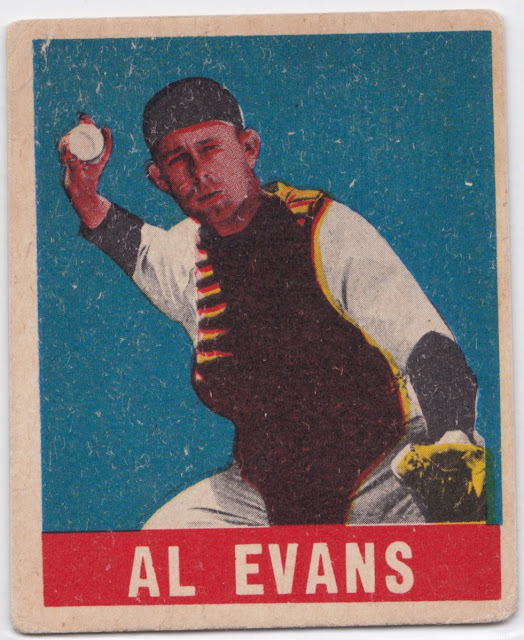 You can find Evans' cards in some of the early Bowman sets with his final card as a player was in the 1952 Topps set (where is featured as a Red Sox). Evans spent two years in the Navy during World War II has a petty officer and missed the 1943 and most of the 1944 seasons because of his service. Known as a great fielding catcher, he led the American League in fielding percentage in 1949 at .992. 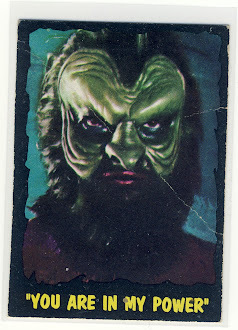 CARD PRICE: $7.50 eBay delivered. SET PROGRESS: 3 of 98 or 3.06 percent complete. That is a cool set. Somehow to me it looks more modern than 1948. BTW You have 3 times as many as I do. 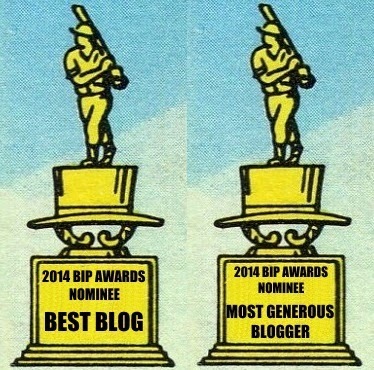 Though I do have 2 copies of the same player. Another card(s) I need to post sometime. I'm so lazy. 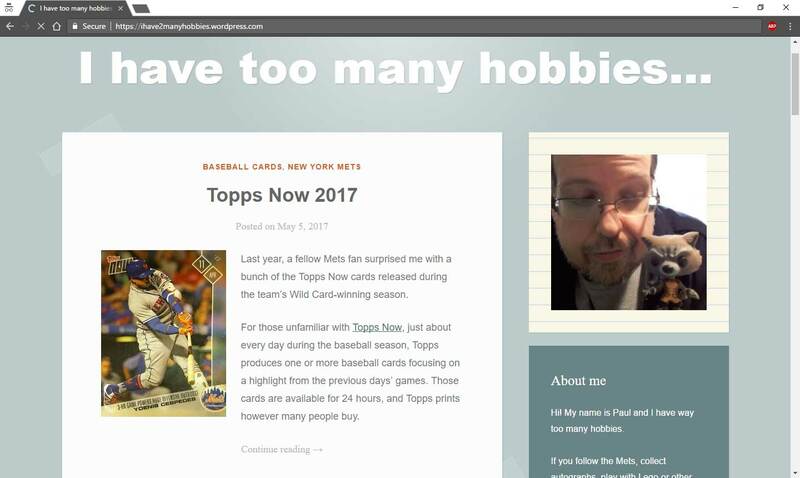 I should change the name of my blog to "The Laziest Card Blogger".